A request by the San Diego Association of Governments‘ embattled outgoing executive director to resign immediately rather than wait out a four-month notice period was approved Friday by the agency’s Executive Committee. Gary Gallegos announced his intention to resign last week. On Monday, however, he requested a waiver of a provision in his employment contract that he would give 120 days notice of a resignation. The committee members were empowered to approve the waiver on behalf of the agency’s Board of Directors, according to a spokeswoman. His chief deputy, Kim Kawada, will lead the organization on an interim basis. 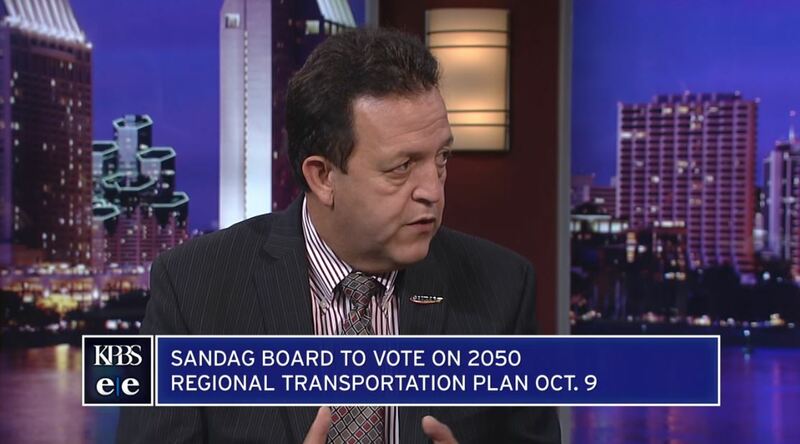 “Gary Gallegos’ departure from SANDAG is a big loss for our region, but his decision to step down will allow the board to move forward with enhancing our regional mobility future,” said SANDAG Chairman Ron Roberts, a county supervisor. A recent investigation by an Orange County law firm commissioned by SANDAG primarily delved into details of the failed economic forecast but also found that agency executives ordered the deletion of documents related to the issue that were less than 60 days old. SANDAG is also the subject of state legislation that would modify certain governance procedures.